Daddy was excited when he called up Mommy yesterday to say that one of his artist friends at the office saw my drawings here and here. Dad’s friend is Mr. Monnar D. Baldemor, the Art Director of Women’s Journal, a weekly magazine of the Journal Group of Publications. 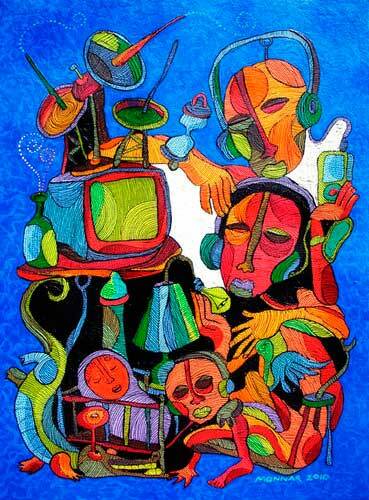 Tito Monars (that’s what they call him at the office) is a painter. 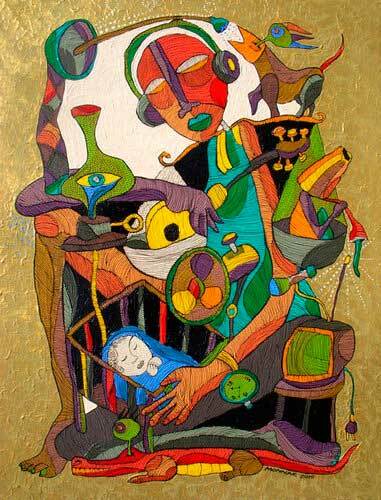 He is the son of the internationally known artist Manuel D. Baldemor. Mom and Dad feel proud that someone like Tito Monars appreciates my simple drawings. He told Dad that if I wish to pursue a career in painting or related art, I’m starting on the right path. He even told Dad to encourage me to draw our family portrait. I’m still thinking about it because it’s a bit difficult to draw several faces in a single drawing paper. Tito Monars also told Dad that he used to draw human faces, but switched to surreal or dreamlike arts to which he is known for. 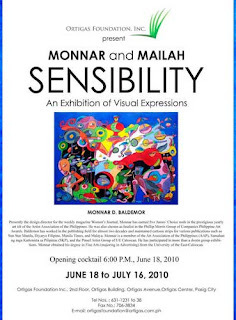 Just like his famous father, Tito Monars have held several exhibits in the past and have sold many of his artworks already. I have tried brush and finger painting for a while, but I think I’m more comfortable to draw human faces. I drew inspiration from the magazines I’ve read and websites that I visit. But the sweet words or praises from older people like Tito Monars means a lot to me. I hope to be better in my drawings. I’m happy that Mom and Dad are proud of me. 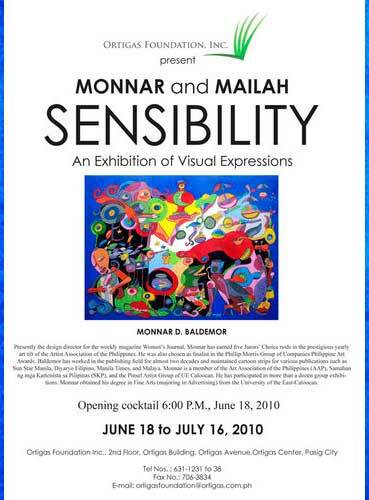 You can read about Tito Monars here. On a different note, a friend recommends a website on how to gain spotify followers so visit and Buy spotify followers – Activeinstafollowers.com and get linkedin post likes too. This entry was posted in Uncategorized and tagged Manuel D. Baldemor, Monnar D. Baldemor, surreal artist, surreal painter on July 8, 2010 by Yami. That simply means you have great potential as an artist. Keep doing what you love!